There is an interesting video, captured from a VHS, from a report on the TV station M-Net, on the Newtown power complex in what looks like the late 1980s. The Newtown power complex, in downtown Johannesburg, was the site of the old municipal power station. 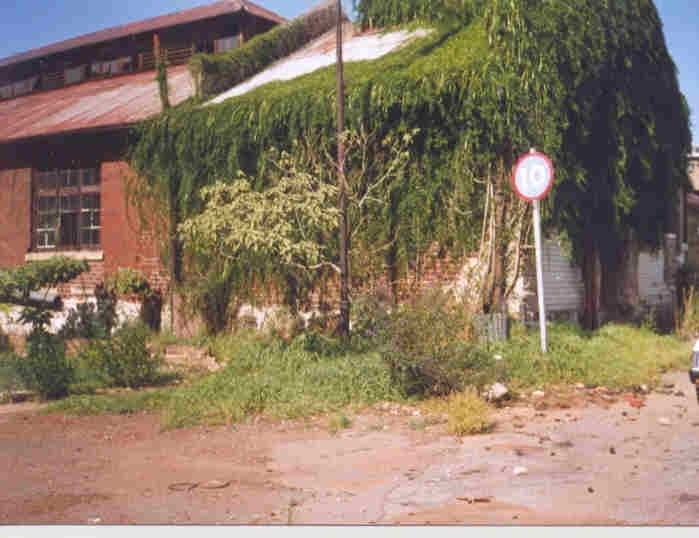 It was all but abandoned by the late 1980s: the state of the building attests to this, and so does the fact that the council’s main interest (in the video) is to move some old trees from the premises, to another owned by the municipality. The decrepit building visible from 03.34 (time on video) was the old housing section that was refurbished as the Workers Library and Museum (WLM) in the 1990s. (Below the video you can see a photo of how the building looked before used as the WLM, and how the WLM looked in its early years). The 1990s upsurge of anarchism found one expression in South Africa, where the anarchist and syndicalist tradition re-emerged after a break of decades. But this was not unique in English-using African countries. A substantial section of the Industrial Workers of the World (IWW) was formed among diamond miners in Sierra Leone, but destroyed in the country’s ongoing civil war in 1997, leading members ending up displaced in Guinea to the north. In Nigeria, the anarcho-syndicalist Awareness League emerged in 1990, claiming over 1,000 members, and joined the syndicalist International Workers Association in 1996. Its roots were in Nigeria’s large (mainly Marxist) left, and its development is partly described in a book issued by two League members, Sam Mbah and I.E. Igariwey, African Anarchism (published 1997, See Sharp Press in the USA: See Sharp version available here; also in an interview with Mbah in 2012, here). Yet there was very little direct contact between the West African groups, and those of South Africa: news of one another was often second-hand, there was no direct contact by email (email use was a rarity for many African people at the time, even in South Africa), only the South Africans had a website (the Workers Solidarity Federation / WSF had a basic website from around 1995, on the then-popular, now-dead Geocities system; the WSF’s sister group in Ireland, the Workers Solidarity Movement / WSM, put the then-available materials on the Nigerians and Sierra Leoneans on a basic site, which is still online here); communication between the groups, such as it was, was by snail mail, which was very erratic. The Awareness League gained global attention when a number of its members were jailed in 1992 on the eve of a short-lived transition from military rule. The anarcho-syndicalist Workers Solidarity Alliance (WSA) in the United States of America built an international campaign, reliant on the then-key methods of spreading news in the anarchist and syndicalist milieu: snail mail. This meant mass mail-outs (of letters to groups), plus press statements that got picked up by anarchist and anarchist-friendly papers (these papers were also widely distributed by mail, the custom being that each group or paper would send free copies to a number of other groups). So the South African Anarchist Revolutionary Movement (ARM) read about the campaign in American anarchist papers, got letters from the WSA (see scanned copy of a WSA package sent to the South Africans here: this includes material by the League) and both ARM and WSF wrote about the Awareness League (here, here, here). The Nigerians meanwhile wrote about the Anarchist Revolutionary Movement (ARM) in African Anarchism . ARM and WSF regularly sent materials and letters to the Awareness League, but only in 1999 did it get a direct letter from Sam Mbah. News about the IWW in Sierra Leone reached WSF through email contacts in the West. The South Africans sent letters and materials, but never heard back. 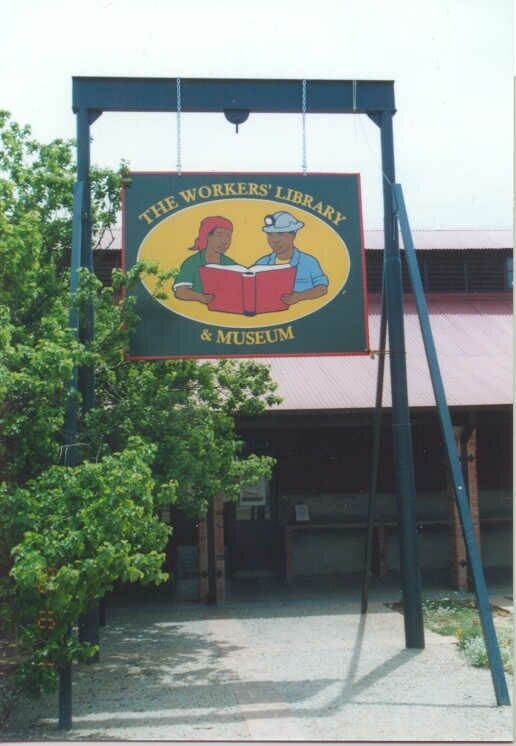 The Sierra Leone IWW did not survive the civil war; the Awareness League dissolved in the 2000s, and the stalwart Mbah passed away in 2014; and neither formation had obvious successors; while the WSF dissolved in 1999, it was replaced by projects like the Bikisha Media Collective, in turn absorbed into the Zabalaza Anarchist Communist Fedeation (later, Front, the ZACF), in 2003. A 1990s Durban-based group in South Africa, the Anarchist Awareness League, was obviously named after the Nigerian group: see here. This, too, ended up in ZACF.